The Aircraft Structural Integrity Program (ASIP) dates back to a 1950's Air Force publication on structural integrity requirements. It was known from an early stage that ASIP was a vital program in prolonging the life and ensuring the structural safety of all aircraft. Meetings began in the 1970's, but it wasn't until 1984 that it was reshaped into the current conference format. Incidents like the 1988 Aloha Flight 243 Air Disaster highlighted the importance of ASIP requirements and the contributions of the ASIP community, to preclude the recurrence of such tragedies in the future. The ASIP Conference helps to accomplish this through the personal interactions of its attendees, resulting in the exchange of vital ideas and technology. 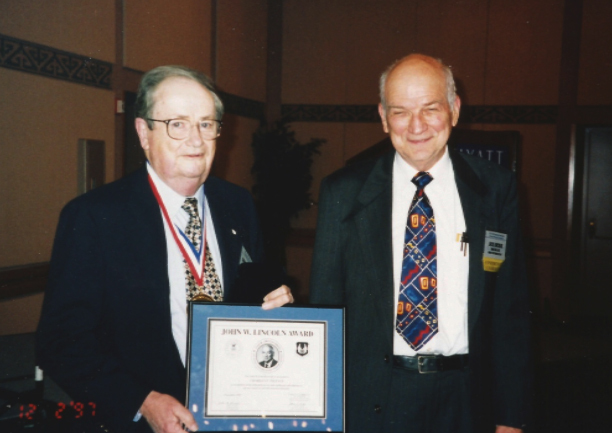 In 1996, the ASIP Committee established the Lincoln Award to recognize individuals who have made significant contributions throughout their distinguished careers to ensure the structural integrity and safety of our aircraft. The 2019 Aircraft Structural Integrity Program (ASIP) Conference is specifically designed to bring together the world leaders in the area of aircraft structural integrity and to disseminate information on state-of-the-art technologies for aircraft structures in both the military and civilian fleets. This is the 35th year of the ASIP Conference in its current format, although similar meetings occurred in the 1970s. This year also marks the 61st anniversary of the publication of the initial requirements for the US Air Force's Aircraft Structural Integrity Program. ASIP 2019 will continue to provide a forum for the technical interchange of information between personnel responsible for structural integrity, including design, analysis, testing, manufacture, certification, non-destructive evaluation/inspection, maintenance, repair, safety, risk assessment and mitigation, durability and life management. This interchange helps provide the communication necessary to ensure that each community is aware of each other's capabilities and needs. The ASIP Conference has become even more important to the Air Force, Navy, Army, NASA and the FAA due to the constantly growing emphasis on sustaining the airworthiness of aging aircraft. The ASIP Conference is unclassified and allows unlimited attendance. It has become internationally recognized as the premier meeting for this technical area. Consequently, a large number of well-qualified foreign nationals attend the conference, and bring a very broad perspective to the technologies being discussed. 2001 Prof. James C. Newman, Jr.
2000 Prof. Alten Grandt, Jr.